Almost a year after John Purcell from Azoora recorded the very loved EP “Apart” together with sweet voiced Graciellita, a new jewel from the full band was released in collaboration with the 23seconds.org label. 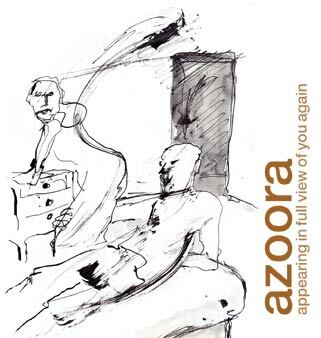 Slightly moving away from trip-hop and their electronic sounds, this time around Azoora presents a darker, more indie, post-rock, psychedelic release. It’s titled “A Thousand Ways EP” and, surpassing all expectations, it could just be the bands best work to date. Nowadays, the band consists of singer and songwriter Paul Loader, producer, composer and multi instrumentalist John Purcell, drummer Ben Cochrane, and backing vocalist Trudi Lawrence. 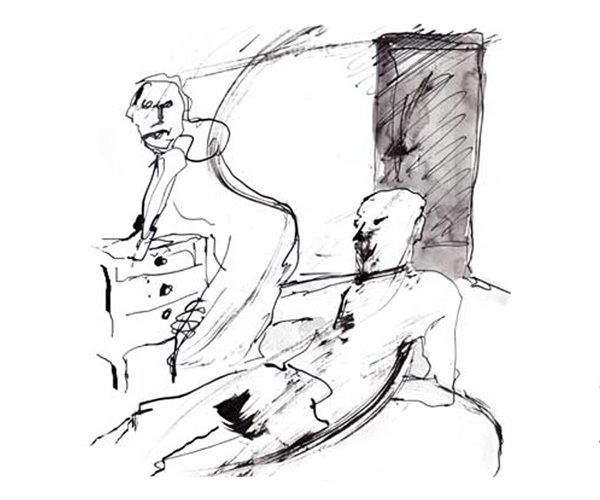 As their 8th release, “A Thousand Ways EP” is perhaps little less experimental and has a more relaxed flow to it, but the lyrics are as meaningful as always and the post-rock music arrangements with a hint of psychedelic keep the ear entertained and interested. When the entire Azoora team works on a release together, it always becomes synthesis of individual member’s personal tastes and attitudes. With everybody being willing to push the envelope, yet agreeing on the final outcome to have the one, unquestionable “Azoora” feel to it, every release is innovative and truly theirs. The cover and the booklet is something to notice as well, especially for this release. The full of movement and temperament sketch artwork by Jenny Persson adds a visual dimension and perfectly complements the music. Promoted on FrostWire back in October 2011, “Apart” received over 84,000 downloads. We can’t wait to see how well this release will resonante with FrostWire users. Download away and if you love it share with whomever you can – copy it, mix it, use it as soundtrack (even commercially) – it’s all kosher as this release is under a Creative Commons Attribution License – the most permissive of all. If you want to reward the band to with some cash for their hard work, the release is also available for purchase on iTunes.